Grenada’s opposition National Democratic Congress, which was ousted from government in a 15–0 clean sweep in general elections almost two years ago, is doing “more harm’’ to itself, founding member Phinsley St Louis has charged. The businessman and former NDC cabinet minister was commenting on statements from current deputy leader Joseph Andall, who claims that former party general secretary Peter David was never a member of the National Democratic Congress. 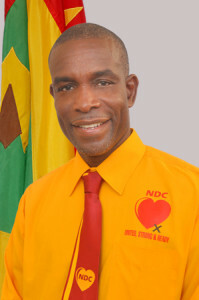 Andall, a losing candidate in the February 2013 national elections, has stated publicly that the NDC also has no documentation that trade unionist Chester Humphrey was a party member. In September 2012, Humphrey, David and eight others were expelled from the NDC by a group that included St Louis and Andall. 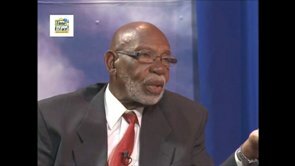 “I believe what has happened here is that Andall wanted to pull punches and thought it would have been good to make David look bad by saying what he has said; but, in my opinion, that will do more harm to the party than anything else,” St Louis is quoted as saying to the weekly Grenada Informer. Informer said St Louis described NDC a “comic strip party’’ that is “carrying on with Mutt and Jeff behaviour’’. Earlier this year, David — who served more than a decade as NDC general secretary — joined the ruling New National Party of Prime Minister Keith Mitchell, who recently appointed him and Humphrey to the senate. Humphrey is president of the senate, where he previously served as labour representative. He has called Andall’s comments about his purported non-membership disrespectful, and now is demanding reimbursement of EC$15 that remained on his party membership dues when he was expelled from the NDC in 2012. “If needs be, that matter will go before a court of law. I want my $15 back,’’ Humphrey said.